Let’s see*…the majority of the book is a meticulous recounting** of American architects and engineers banding together in 1893, to place a fair in Chicago representative of American exceptionalism, worthy of international praise and symbolic of the nation’s great legacy and innovation of the future. What is it–Murphy’s law? Anything that can go wrong will go wrong. That’s a basic description of the planning, opening, success and demise of the fair; weather disasters, politics, a bad economy, labor unions, accidents, vandalism, crime…wrong measurements, rejected blueprints…newspaper headlines. Every possible detail that can be accounted for in the existence of this fair is recounted. I suppose that’s good research on Larson’s part. But for this reader it really dragged…except for the chapters on Holmes, the psychopath predator, and Prendergast, a mentally ill man with political aspirations. These chapters could have belonged in a different book altogether. But they’re flawed in the same way. There is no intrigue. No tension. Larson loves to foreshadow to a fault. *If you couldn’t tell by the brevity of this write up, I was very disappointed with this one. **Novelistic/Narrative non-fiction may not be my cup of tea. 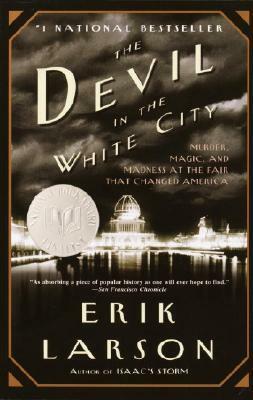 ***The title in its entirety is–The Devil in the White City: Murder, Magic and Madness at the Fair that Changed America. Basil Hallward paints a remarkable portrait of his friend and muse, Dorian Gray. It’s his best work, something to be admired. Yet the piece of art becomes an object of hate and fear. Basil has given eternal life and beauty to the Dorian in the portrait, whereas, the actual Dorian will eventually be marked with imperfection, age and ugliness. To Dorian it’s unfair and unbecoming, and somehow he inadvertently sells his soul for eternal youth. Dorian undergoes an intellectual and moral transformation. The change of his psyche is contrasted with the stagnation of his physical being. He doesn’t age. He becomes a fickle person, seeking sin, pleasure or any experience that can satisfy his search for what he considers beauty or novelty of the moment. He commits a heinous crime, develops shady habits and ruins his reputation. He goes from loved by all, to detested by most. He has the face of youth, innocence and good, but not the soul to match. Aren’t they too…I don’t know–mushy? I suppose they’re meant to be romantic and artistic, but I find the descriptions, and in particular, the use of the word quiver very irksome. Anyways, once I got over that, I was annoyed with Harry/Lord Henry. His musings, while very quotable, are silly. However, he’s such an important character in the book. 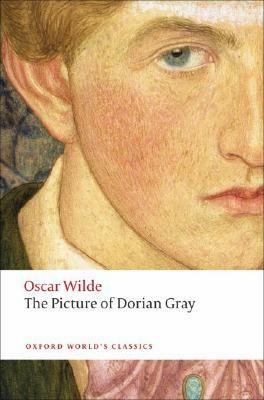 It’s clear that his haughty attitude and naturalist view of society influence Dorian Gray substantially. In fact, Dorian becomes Harry’s social experiment. Harry poisons, pokes and prods hims; drops crumbs, which eventually lead Dorian to corruption. 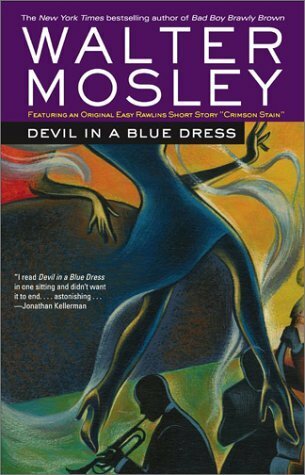 Mosley creates an Ellisonian* figure named Easy Rawlins, to lead this hard-boiled crime story. Readers will tour the L.A underworld with Easy to find a woman named Daphne. Whether it’s a hole-in-the-wall bar, secret jazz club, local barbershop, sketchy apartment complex, or around-the-way brothel, Easy uses his social connections to extract the information he needs to find her. It’s through the connections and information that readers absorb his reality and race relations of the era. They add a layer to Easy’s persona. However, it’s not just blackness or whiteness, right and wrong. There’s a universal idea that regardless of background, money, fear and power can turn anyone. There were a few things I could have done without, such as, the “voice”. ** I thought it was kind of cheesy. Coretta and Daphne bothered me too. I didn’t have a problem with them seducing Easy, no, that was to be expected, but it’s unfortunate how they were simply objects of possession; easily used and discarded. I mean, after Coretta hooks up with Easy she’s murdered and that’s it. I don’t know, just seemed like a very masculine-fantasy way to go about things…I’m wondering if that’s just characteristic of this type of fiction. Out of all the characters (and there are many), I hold a special dislike for Daphne. Not Albright, not Mouse, not Frankie Green–Daphne Monet. I hate that she was placed on a pedestal, although I understand why. 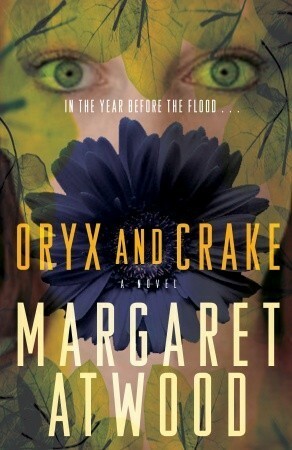 Her connection to a potentially large sum of money, the crimes she’s connected to, and the fact she was seemingly unavailable and unattainable, added to her enchantment. However, this doesn’t deter Easy one bit. He bends over backwards for this mysterious, white woman and puts himself in danger to help her, to be with her, to be her lover. But Daphne has her own secrets. When Easy finds out the truth about Daphne, he’s devastated. He actually compares it to an earthquake and almost refuses to see her for what she is. A woman he lusted for, who caused him to search down in his soul, someone he could have died for had deceived him. On top of that, she was one of his own! …I love that Mosley was able to convince me to dislike a character so much. In the end, we have an intriguing story of Easy Rawlins’ transition from war veteran and day laborer to private investigator in 1940s, Los Angeles.